Minimalism comprises one of the key movements in post-war art. The term 'minimalism' was coined to describe the work of a group of American artists who, in the 1960s, produced a decidedly unexpressionistic, reductive work with a hard industrial feel. While numerous minimalist painters exist, among them Robert Ryman, Robert Mangold and Brice Marden, most of the key Minimalists - Andre, Flavin, Judd, LeWitt and Morris - produced sculptures or, as some put it, 'specific objects' or 'objects in a world of objects'. Although none of the artists actually accepted the term 'Minimalism', their common use of serial, modular or repeating forms (from Carl Andre's floor sculptures of readymade bricks or Judd's stacked boxes) as well as the abstraction and industrial production of the work, drew these artists' work together. As opposed to the vulgar and populist Pop Art, Minimalism, like conceptualism, considered itself 'high art'. These artists' aim was to create an art that was non-hierarchical (no single part of the work takes precedence over any other) and thus entirely democratic. With direct access to many of the artists' archives, this book is the most comprehensive and definitive sourcebook on Minimalism available. Survey: critic and art historian James Meyer, a leading authority on Minimalism, examines the movement from its beginnings to its broader cultural influence. Works: this title provides an extensive colour plate section with extended captions for every artwork. 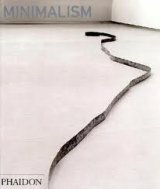 The excellent selection of images illustrates the surprising variety of work, and also relates it to other artists such as Eva Hesse and Robert Smithson.